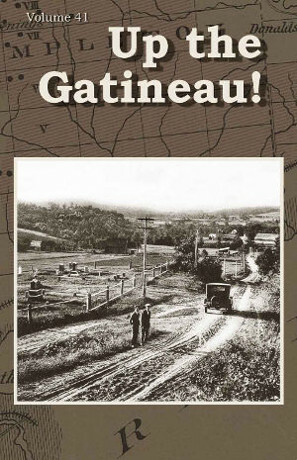 Volume 41 of the Gatineau Valley Historical Society (GVHS) annual publication "Up the Gatineau!" is a special edition this year featuring ten original stories entirely about Cantley history. Topics include early pioneer and farm life as revealed in family diaries and notebooks, a story of the lost farm of Pleasant Valley, Cantley's famous sculpted rocks, discovering the Haycock Mine, Cantley's tugboat and logging heritage, one man's electric powerhouse on Blackburn Creek, Cantley's "Castle" - the William Connor Estate, Malak Karsh's cottage life in Cantley - see Volume 41 table of contents. These unique and fascinating stories not only enable readers to discover Cantley's rich past but they also give regional significance and prominence to Cantley's history.